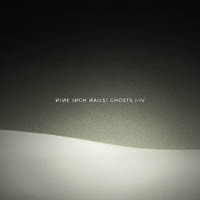 You can buy a new 36 tracks instrumental release from Nine Inch Nails aka Trent Reznor at his website. 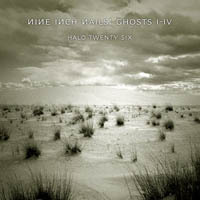 The direct link to the new release is ghosts.nin.com. It comes in 5 different packages in the price range of $5 - $300. The initial pressure on the servers brought them down. Nothing wrong with that in itself. What is wrong however, is that while the servers are up again, the system claims that I am not allowed to download something I have already paid for. These things combined with a sick excuse for a "customer service" that doesn't even answer your emails. It is ironic that Trent Reznor - who does a great job in really delivering value to his fans for a fair price and who has an open mind to digital music and it's distribution - is being hit by these problems, forcing many users to find "alternate" ways of getting his music, since his own shop fails to distribute it to them. It reminds me a lot of Prince's "Crystal Ball" disaster in the days of way back. Prince found out the hard way that you need some kind of organization to administer tasks like the ordering process and the customer service. I hope that Trent will also soon accept this fact and fire his entire customer service department and hire somebody who knows what they are doing. I am currently listening to the music and I am not very impressed by it so far. It is basically rythms, beats and loops that creates certain moods. Nine Inch Nails without the lyrics isn't that exciting to be honest. But anyway, maybe I'll get into some of it. Time will tell... It does however seem that some of it may be useful in a documentary about ants or whales or when reading a book or working behind your computer, and perhaps also when doing some physical training. An interesting note is that Brian Viglione of the amazing Dresden Dolls plays drums on a couple of tracks.